The Great Depression- Nick M.
The Great Depression was put in motion with the crash of the Stock Market. This led to a decrease of money and led to a bad living conditions for many people. This was a time of many poor people with almost no possesions. All of the reasons below led to this horrific event in US history. One cause of the Great Depression were farms and factories had more workers than they needed due to new technology. This caused the factories and farms to pay the workers more money, decreasing the wealth of the industries. Also the new technology was increased the crop yield, they made more food and goods than what was bought. This caused for the banks and farms to lose money. This caused the money paid to the workers to decrease and fire many workes. Another reason for the Great Depression was the growing cap between the rich and poor people of America. Most of the USA’s money was in the hands of 1% of the population. Another reason for this gap was due to the fact that many jobs were lost because machines were now able to due basic functions that decreased the time needed to complete the job. Also, a cause for the Great Depression was that the bank industry was weakened by the Stock Market Crash, when the Stock Market lost a lot of money because people sold all of their shares and other people couldn’t buy them in time. The Crash caused banks to lose money and increased the amount of money that was needed to pay back on loans. Also the unemployment due to the loss of many jobs caused many people to lose their houses and possessions. Another reason for the Great Depression was due to policies that the government created. One was a policy in which the rich peoples money would go down to the poor, it also cuts taxes on the business and the rich. The US didn’t have enough money to return to its formal state because it lost all of its money. 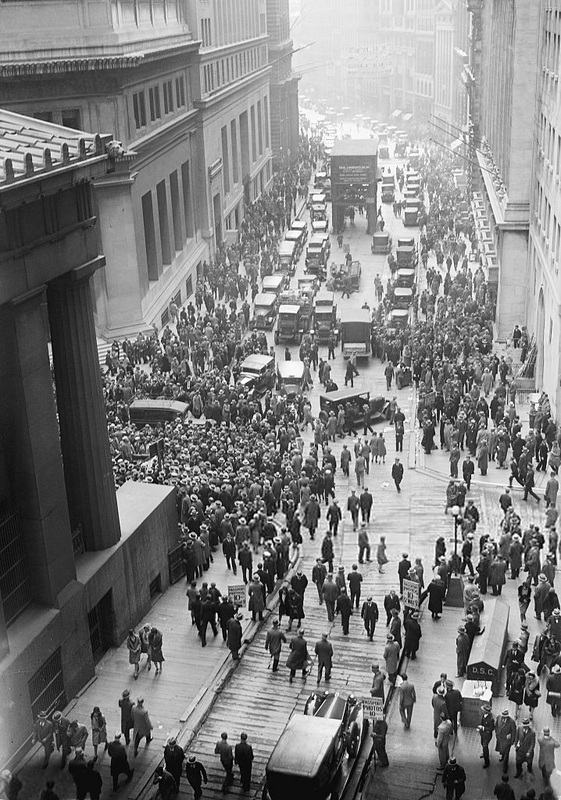 The last cause of the Great Depression was that trade with other countries decreased in large amounts. High taxis on the goods traded in both the giving and recieving countries caused trade to decrease. Another reason for the decreased trade was that the USA didn’t have much money. American money was lost because we gave it to other countries to help them after WWI.